Are you looking for a social networking experience that blends the nostalgic wonder of MySpace with the massive social activity of Facebook on the desktop and the exciting matching features of Tinder on mobile? Well then, Tagged might be just what you need. Tagged is a social network and meetup/dating service that has been around almost as long as Facebook has, since 2004. The web version has more of your classic social networking experience while the mobile app offers a more modern one that's ideal for actually meeting up with people. Similar to what Facebook profiles looked like back in the day, you can set up a user profile on Tagged.com with photos and personal information about yourself. You can also add friends, send virtual gifts (called tags), join groups and do all sorts of other things that help you meet more people and add get more social. If you're really just looking for some very casual chatting, flirting and maybe even online dating or hooking up, then Tagged is the place to be. Unlike other major social networks that can be used to connect with existing friends, follow celebrities or catch up on the news, Tagged is really all about facilitating relationships between people who've met through the platform. You can sign up for a free account via email or through your existing Facebook account or Google account. Once your account has been created, Tagged will ask your permission to connect to your email account so that it can suggest some contacts that you can add to your network. Not sure whether Tagged is worth joining? Here's a quick rundown of all the main features you'll find on the regular web version of the service. Your Home feed: This is where you'll see a list of suggested people to meet, suggested "pets" you should buy, a live feed of status updates from users (plus a compose field to add your own) and alerts in the left column that show other users' interaction with you. Profile: This is your little space on Tagged. Customize it however you like to let other users know more about you. You can even set your own profile URL, change the skin or add widgets to your wall. Messages: You can privately send and receive messages with other users under this tab. Browse: Tagged is all about meeting new people, and you can use the Browse tab to find new users to consider adding as friends. Meet Me: If you're more interested in connecting with like-minded users, you can use the Meet Me tab to play a match game that's comparable to Tinder. Tagged will ask you questions about yourself so it can suggest users based on your answer, which you can then pass on or like as a match. Pets: Strangely enough, "pets" are actual Tagged members that you can buy and sell. You can apparently increase your cash and value when other users buy you and your pets. Tagged has several other sections including Photos, Tags, Luv, Wink, Friends, Groups, Cafe, Notifications and Birthdays. Some of them are pretty self-explanatory, except for Luv and Cafe. Luv is a points-based system you can give to and receive from other users. Cafe is an interactive game similar to FarmVille and many other popular Facebook games that lets you set up your own cafe and manage it effectively to move up to higher levels. Tagged also offers VIP plans at monthly prices, which gives users access to more features. VIP members can see who've read their private messages, find out who looked at their profile, access popular people, get advanced filters and more. Tagged is fine to use on the desktop web, but the best experience you'll get from using Tagged is via the official mobile app. The Tagged app uses your device's GPS to search for nearby users to help you better connect with locals. 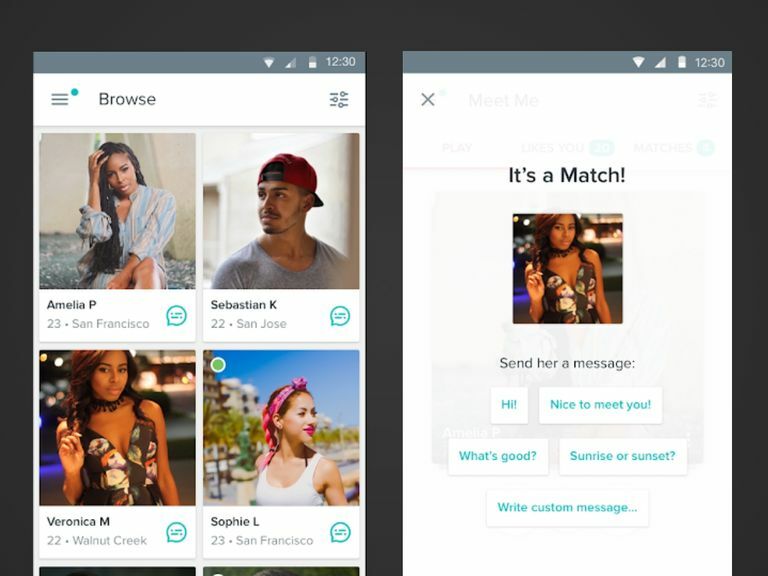 Like Tinder, you can get matched with nearby users in your area and choose to like or pass on their profiles. If you decide you want to connect with someone, you can start a chat with them directly through the app. You can download Tagged for free on both the Apple App Store and the Google Play Store. Want to know more about Tagged? Read our full review to find out more about the pros and cons of the service.